Named as one of the Top 100 Best Places to Work by NJ Biz in 2017, Conti Solar’s team of dedicated professionals has been able to successfully develop and install over 500MW of solar projects since the company’s early initiatives in 2008. The company has more than 80 MW of solar projects under construction. Conti Solar provides medical, dental and vision on the first day of employment. Life insurance, 401(k) matching plan, EAP, wellness programs and many other optional programs are offered as well. 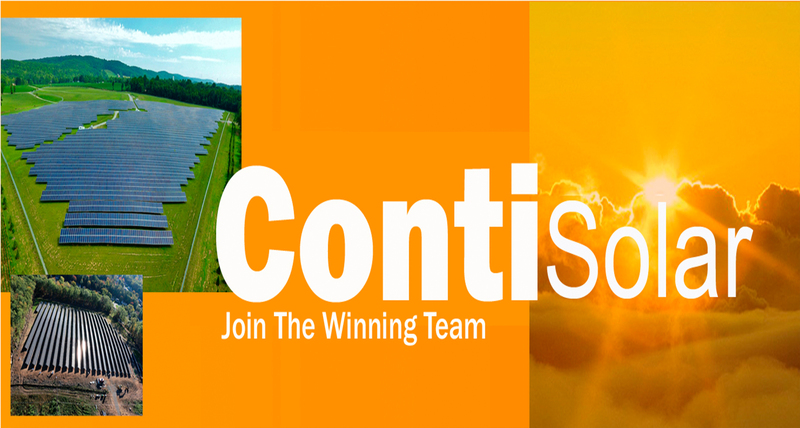 Conti Solar is an equal opportunity employer.